Attention Tokyoites! It is down to the final two weeks of the Takashi Murakami exhibit at the Mori Art Museum in Roppongi Hills. It has been one of my favorite exhibitions to date, and I highly suggest checking it out before it leaves Tokyo. Check out my article below for my information behind the artist and the meaning of his enormous piece, “500 Arhats”. The Mori Art Museum (MAM) is known to host works by some of the world’s most noteworthy artists, and the current exhibition is nothing less than extraordinary. 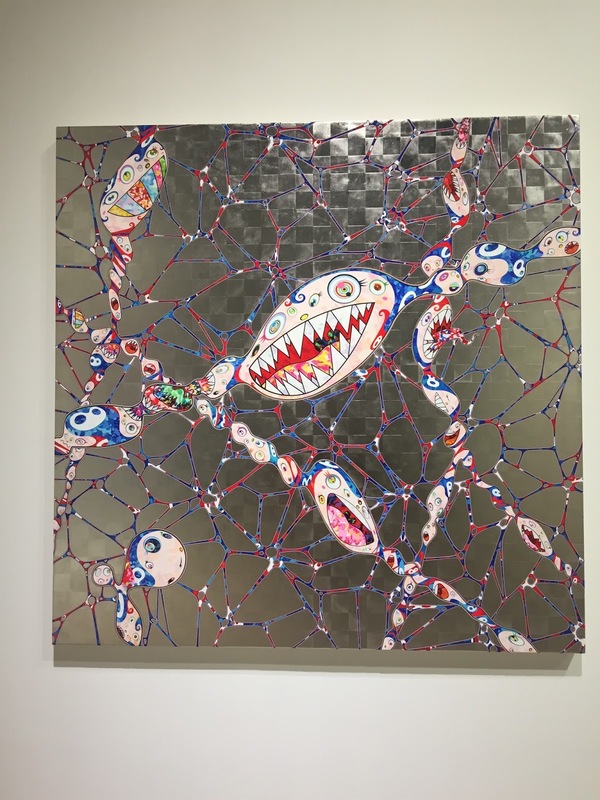 For the first time since 2001, Takashi Murakami is showing his contemporary pieces here in Japan. You may be familiar with the cute cartoon-like images around Roppongi Hills or with Murakami’s famed Mr. Dob character, but after visiting the MAM exhibit you will likely start to see his aesthetic in art as well as fashion all around the city. As one of the world’s most significant contemporary artists today, Murakami has created quite the buzz for himself in Western culture. Collaborating with Marc Jacobs for Louis Vuitton and designing Kanye West’s album covers have further solidified his popularity outside of Japan. Often compared to Andy Warhol, Murakami has coined his artistic style as “superflat,” a method of fusing anime style designs with post-war traditional imagery and scenes. Because of its sheer scale, The 500 Arhats is not likely to be shown in many exhibits following the current one. So if you are running low on date night ideas, we suggest hitting up MAM, checking out the Tokyo City View before or after, and indulging in a little holiday spirit throughout Roppongi Hills. The Christmas Village is full of cheer and galaxy lane is a spectacle in itself. Happy hour, an art exhibit and some festive fun sounds like a fail-proof evening!